Ukrainian President Petro Poroshenko has received credentials from Ambassador of Sweden to Ukraine Martin Hagstrom, Ambassador of Norway to Ukraine Ole Terje Horpestad, Ambassador of Belarus to Ukraine Igor Sokol and Ambassador of Kuwait to Ukraine Rashid Hammad Al-Adwani, according to the president's press service. 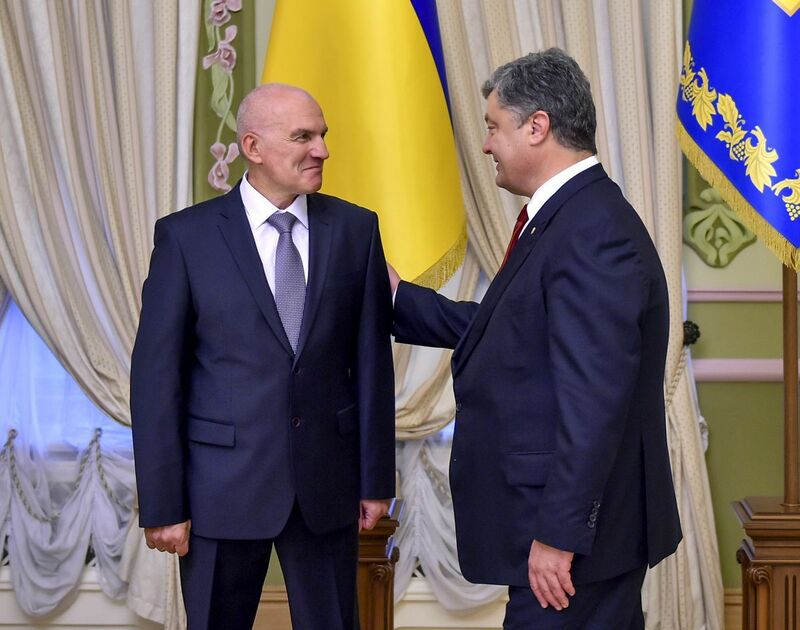 The Ukrainian president greeted Hagstrom, who has started his mission as Swedish ambassador to Ukraine, and noted his experience in European affairs. 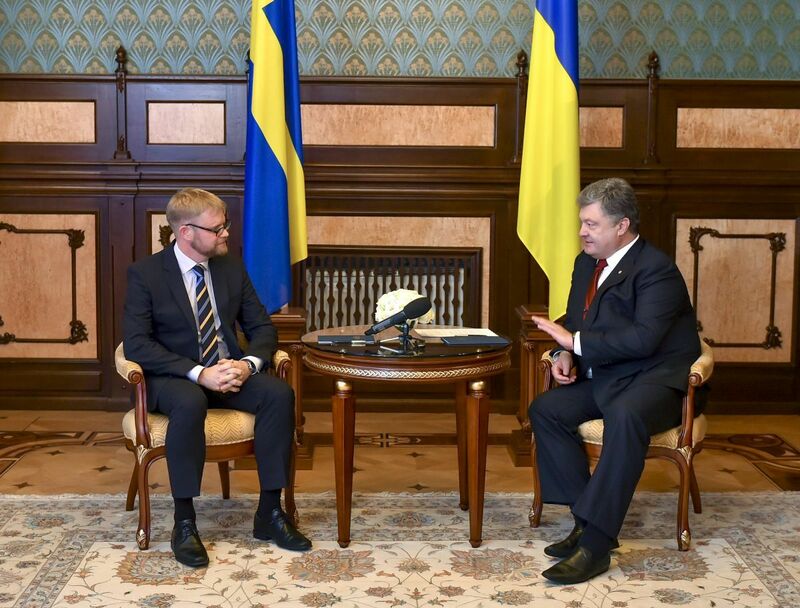 Poroshenko thanked the government of Sweden for solidarity with Ukraine in countering Russian aggression, particularly for efforts to enhance the EU's unity in maintaining sanctions against Russia. The Ukrainian president particularly praised the Swedish government's assistance in the Ukrainian reforms, the presidential press service said. In the course of the conversation with Ambassador of Norway to Ukraine Ole Terje Horpestad, the president expressed gratitude to the people and government of Norway for solidarity with the people of Ukraine in its struggle for independence and territorial integrity. The parties discussed the importance of continuing the policy of sanctions against the aggressor country and preserving the unified position of solidarity with Ukraine. The president pointed out considerable potential of bilateral economic relations, particularly in the energy and agricultural sectors, telecoms, and information technologies. Poroshenko also expressed gratitude to the government of Norway for supporting humanitarian projects in Ukraine primarily designed to help internally displaced persons from Donbas. They also discussed measures to prepare the Ukrainian president's visit to the Kingdom of Norway, which will be the first official visit in the history of the bilateral relations. 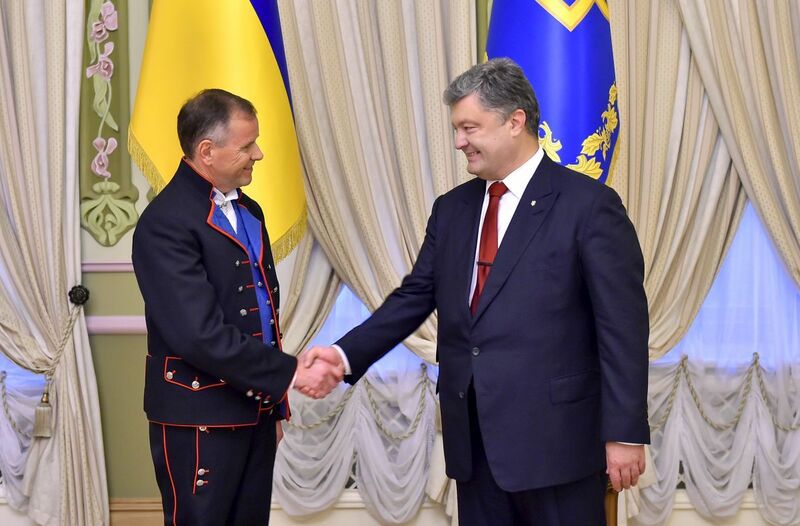 A conversation between Poroshenko and Ambassador of Belarus Igor Sokol touched on the intensification of bilateral trade and economic relations, first of all, the expansion of cooperation in engineering, agriculture, transport and energy spheres. The parties stressed the importance of holding the next meeting of the Ukraine-Belarus Joint Intergovernmental Commission in Minsk in October 2016. Special attention was paid to the organization of joint cultural events on the occasion of the 345th anniversary of author of Ukraine's first Constitution Hetman Pylyp Orlyk, who was born in territory of modern Minsk region. 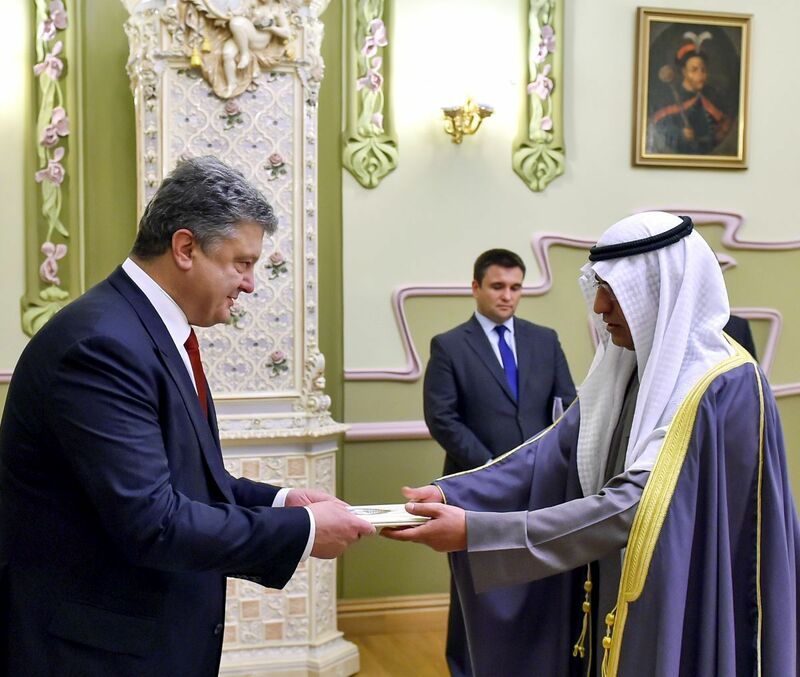 In the course of the conversation with the newly appointed Ambassador of Kuwait, Poroshenko emphasized that Kuwait was an important partner for Ukraine in the Persian Gulf region. He noted mutual interest in the intensification of political dialogue and enhancement of mutually beneficial cooperation in trade, economic issues and investment. "Ukraine is a promising market of the European continent. 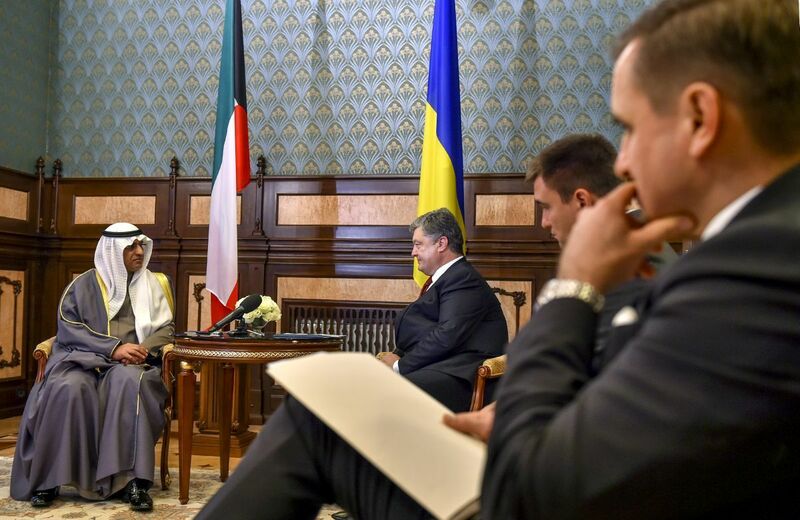 I am confident that Kuwaiti investors will find many opportunities for effective operation in Ukraine," the president said. The Ambassador of Kuwait confirmed his country's firm position in support of sovereignty and territorial integrity of Ukraine.